Without knowing the details of your occupation, a good general resources for the work place is https://askjan.org or the Job Accommodation Network. Their phone number is 1-800-526-7234. Title I of the ADA or Americans for Disabilities Act states that employers with 15 or more employees should consider providing reasonable accommodations for individuals who meet the criteria of having a disability. Here is a link to Ask Jan’s page of job coaches and accommodations. Job coaches can sometimes be paid for by the state’s department of vocational rehabilitation. They assess individual employee needs and provide one-on-one workplace training. If you believe that your employer is needing you to improve your reading and writing skills, you should check out some free or low cost tools that may improve your reading and writing ability with technology. For reading, are you mostly dealing with computer-based reading or papers? For reading on the computer, virtually every device will have assistive technology that can convert text to speech so that you can listen to document instead of reading visually. In addition, each Internet browser has some type of “speak it “function that you can turn on for dense text. In addition, there are phone speaking assistants like Siri, Cortana, or Alexa that convert online text to spoken speech as well as apps like Prizmo that can take a picture of text on a printed page and convert that to audio. For tasks that require reading paper documents, there are scanning pens (including ones that come with earbuds, such as the C-PEN) that can also be used to convert text to audio. These devices are more expensive. 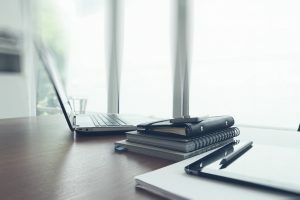 In some cases, larger employers may be willing to pay for the technology; however, that would also probably require you to update your testing and formally disclose your dyslexia to the human resources department. Also there are free-premium services like Grammarly or Ginger. If some of the new skills you are learning require learning new software programs, be aware that there are often accessibility functions in popular office software programs like Excel. More HERE. 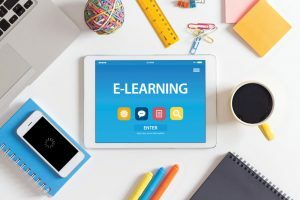 If some of the new skills you’re hoping to pick up include skills like coding, there are free or low cost sites such as Code Academy or Udemy which have a wide variety of offerings that include video which may reduce the burdens of conventional classes with heavy textbook reading requirements.